Today we have received the following important safety recall from HP. Please take the time to check if you have any affected equipment. If you have any doubts as to if your equipment is affect, please contact us as soon as possible. You are receiving this notice because HP has announced, in cooperation with various government regulatory agencies, a worldwide voluntary AC power cord recall programme. The AC power cords have the potential to overheat, posing a fire and burn hazard to consumers. The affected AC power cords were sold from September 2010 through June 2012 and distributed worldwide with HP and Compaq notebook and mini notebook computers (including mobile thin clients and mobile workstations), as well as with AC adapters provided with accessories such as docking stations. HP’s primary concern is for your safety. To reduce the likelihood of damage from a power cord failure, stop using your power cord immediately until you have determined whether your power cord is affected. 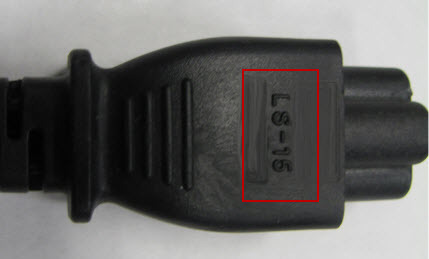 The AC power cords can be identified by an “LS-15” moulded mark on the adapter end of the cord. Not all of the AC power cords with the “LS-15” mark are affected. To determine if your AC power cord is affected by this recall, visit the HP Notebook PC AC Power Cord Replacement Programme website at https://www.hp.com/support/PowerCordReplacement. If the validation indicates that your power cord is affected, HP will mail a replacement power cord to you at no cost. Note: The validation process may show that your AC power cord is not affected by this replacement programme. If your power cord is not affected, you may continue use of the power cord in your possession.